Vineyard Cottage Tourism is meant for tourists who are looking for authentic and genuine tourist arrangements, for some peace and quiet and a chance to relax in the countryside. Vineyard cottages are a unique feature in the wine-growing region of Posavje, which includes the wine-growing districts of Dolenjska, Bela Krajina and Bizeljsko-Sremič because nowhere else in the world can you find this many vineyard cottages, wooden wine storage rooms and wine cellars grouped together in such a small area. All these structures stand on the edges of vineyards in splendid locations that offer lovely views. Who, above all, is Vineyard Cottage Tourism meant for? It is possible to have breakfast and other meals on the terrace. You can prepare your own food or it can be delivered from our inn. 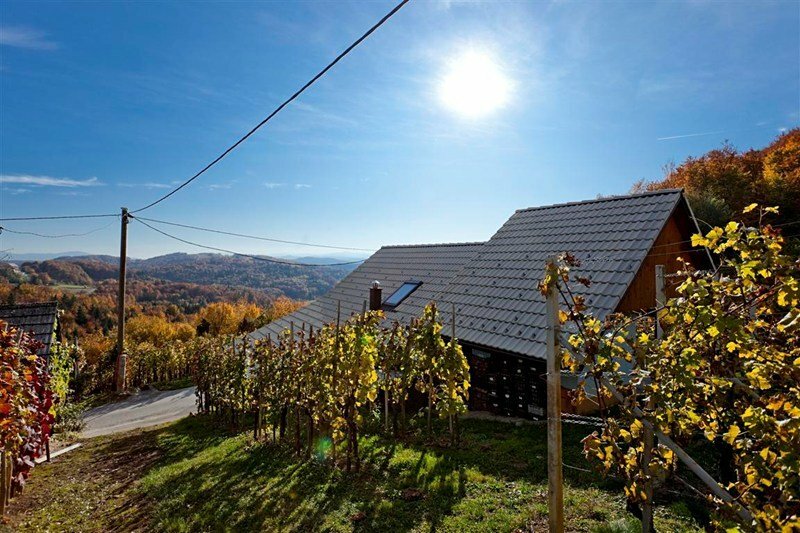 We offer special trips to the neighbouring vine-covered hillsides. We recommend visiting the museum of viticultural tools, a chapel, the beekeeping museum, an alpine cottage… You can also go hiking or cycling.